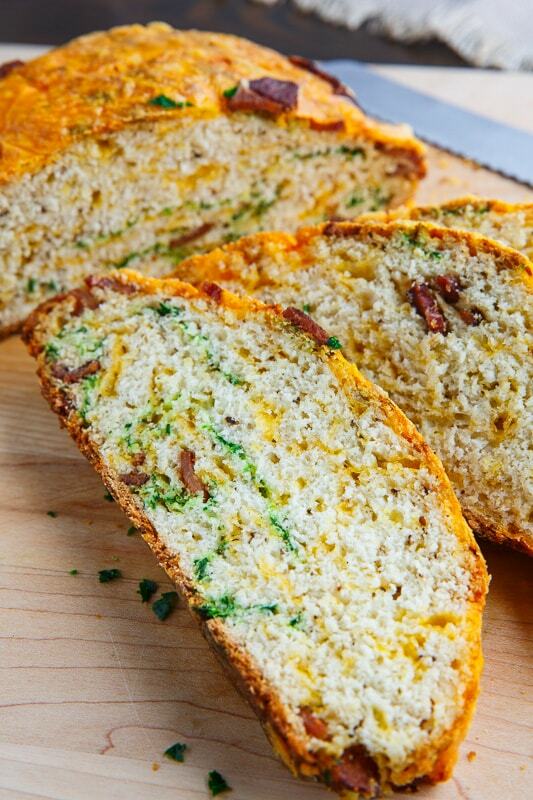 An easy Irish style soda bread with plenty of cheddar cheese and bacon where you literally just need to mix the ingredients, form a loaf with the dough and bake it! St Patrick’s Day is this weekend and I can’t help but thinking of a fresh loaf of Irish style soda bread, all nice and warm from the oven and slathered in butter, yum! Soda bread is so easy to make! You simply mix flour, baking soda, salt and milk, form a dough, shape it and bake it. 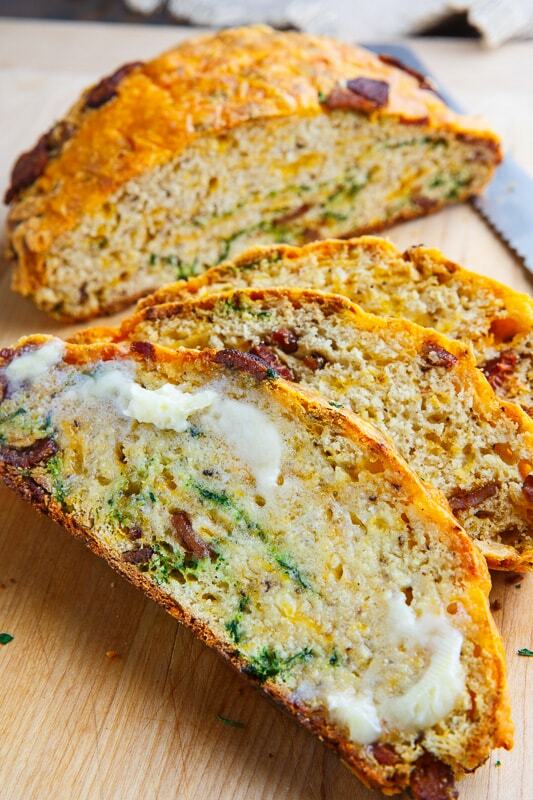 For this bread I threw in plenty of cheddar and bacon making it absolutely irresistible. 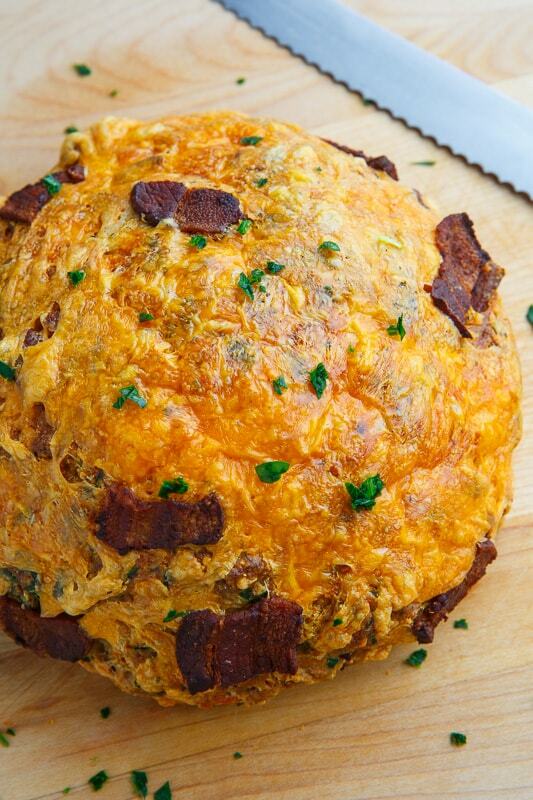 I have a loaf of this bacon and cheddar soda bread on my menu for St Patrick’s Day this year! Mix everything, form the dough into the desired shape, place on a baking pan and bake in a preheated 425F/220C oven until lightly golden brown, about 20-30 minutes. Option: Replace some of the flour with whole wheat flour! Option: Sprinkle some extra cheese on top. This looks delicious, might give it a try. I found a couple of new asparagus recipes which I posted this week – well one tomorrow – and I am drooling at the mouth waiting for farm fresh asparagus at the end of the month (I hope).